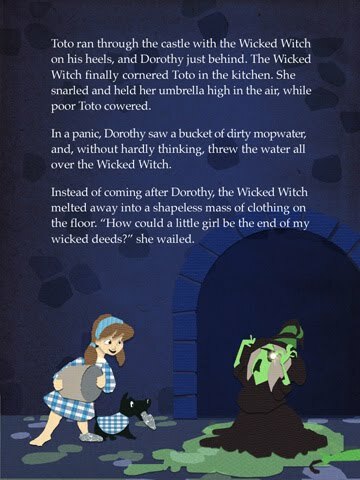 Wizard of Oz iPad App / Giveaway! Congratulations to lizardek and komnatachista, the giveaway winners! Jackie Huang is a university grad student who is studying illustration and enjoys paper sculpture, paper cutting, and classic children's books. Recently she brought all of these interests together in a very clever way... as an iPad app. More about that in a moment, as first I'd like to show you a few of Jackie's other paper projects. She likes to quill too! Here's a fairy tale scene... check out Rapunzel's long hair. A lovely graphic Jackie designed as her website logo... she also made a quilled version - not easy to do! Jackie's latest semester project synched her illustration and paper talents with the very latest in technology. 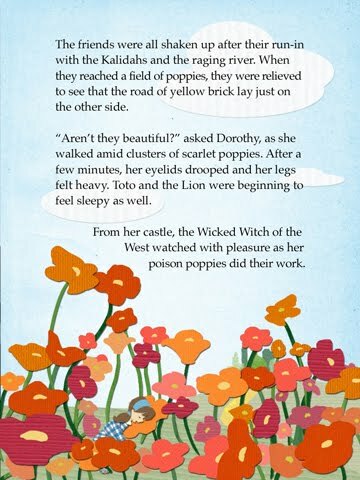 She and two contemporaries teamed up to create what must be the first of its kind... a Wizard of Oz iPad app [edit: link no longer available] featuring interactive paper art. On every one of the colorful Oz-related pages, a child will be able to enjoy a variety of activities. From the website: ...interactions have a cause-and-effect action, creating a sense of discovery and strengthening problem-solving skills. For instance, tossing water on the witch causes her to melt, and oiling the Tin Woodman’s joints frees him from rust. These unique interactions make the audience an active part of the storytelling, while delightful animations and sound effects fully enhance the immersive experience. 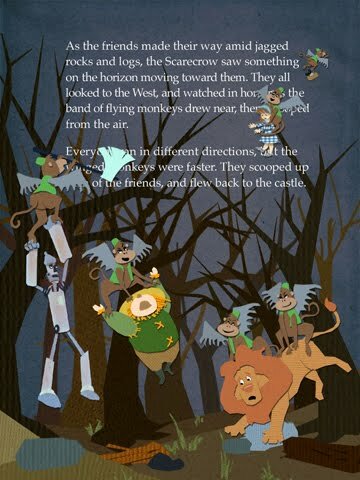 Because I have two young nephews who are just the right ages to enjoy the story, I was very interested to see the paper art version on my iPad. Thanks to Jackie for giving me the opportunity to preview the app. You can watch a sneak peek on YouTube here. The Wizard of Oz app is available from iTunes for $5.99, but two lucky readers will each receive a free app... just leave a comment to enter. The winners will be chosen by a random number generator at the end of this Thursday, January 27th. A code and instructions to download the app will be emailed. If you don't have an iPad personally, but know someone who would enjoy the app, you'll be able to forward the details to them. Last but not least, here's something very timely that caught my eye. 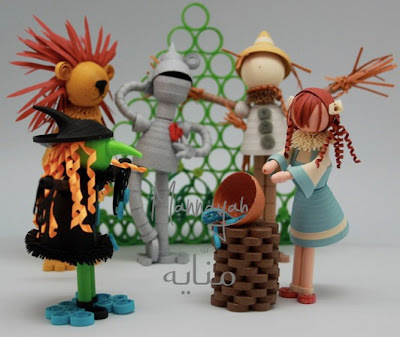 Amna Al Fardh of the United Arab Emirates created Wizard of Oz characters in fabulous rolled paper detail! The Ipad app is amazing...now I want to get one. I love the wizard of oz characters. I've also checked out her site many times and she is an amazing artist. Amazing work! My DGD's (3 of them) and I would love to have this app! Those 3-d quilled Wizard of OZ characters are amazing! It's somewhat like having an animated pop-up book. What a great choice for the app! Marvelous example of creativity. That's amazing. So creative. Thanks! See? You did it again! I love Mannayah and follow her on Facebook as well. But who else but you would find "an app for that" ;) LOL! This is so awesome!!! And I have.to tell you how.much I loved your quilled marriage certificate...it is so perfect! Don't you just LOVE paper more and more every day? I can't get over how many wonderful projects you find...thank you for all your hard work! Totally de-lurking for this chance! Two of my very favorite things (paper art and Oz) in one! How could I resist!? that sounds like a really cool app but I don't have an ipad or even know anyone that does. 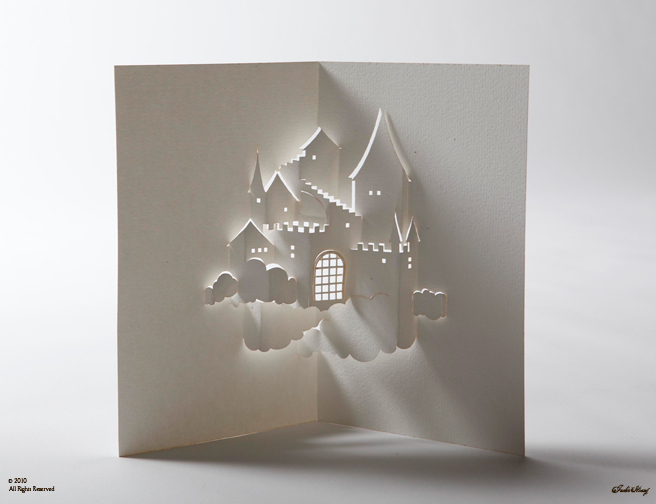 How charming the paper cuts and the scenes from fairy tales are! I like her quilled logo ,it so neatly done. I follow Mannayah and I admire Amna's 3D quilling . Ann, you continually amaze me by finding the best of the best! Jackie's floating city just astounds me! Keep up the great posts! Cool! I love the first picture! That is very creative and fantastic paper cuts! Wonderful links, thank you ! This is amazing.. would love to see this app in person. Just when I think you MUST run out of talented paper artists, you always dig in and find more people to amaze me. This app is incredible! Would love to win one for my little niece. Thanks Ann! wow.. what wonderful paper art..a big applause to the wonderful minds and hands that went into creating such fabulous art. the paper cuts are indeed amazing..thanks for getting me glued to such creative stuff..
Goodness. How amazing. I barely know what an app is, mind you. i honestly don't know how you can find such amazing talent all the time. i cannot get enough of jackie's first castle papercut! the light coming through looks just like sunshine would! i hope you are surviving this crazy snowmaggedon weather! Thanks for your comments, everyone! The winners have been notified.